Are you in search for a good soundbar? Televisions have been doing so much to enhance the picture quality, but the only thing which may stop us from believing that the video is real is the sound quality. So, add a good sound bar to your television and you will have a complete entertainment system – great video quality along with outstanding audio quality. The only problem we face is in choosing from the wide array of sound bars that are available in the market today. Each one of them is amazing and the more you delve into the market for sound bars, the more options you will have. To make things easy for you, we have listed the best the market has when it comes to sound bars. Of course, when we say “the best”, it can hold a different meaning for different people. 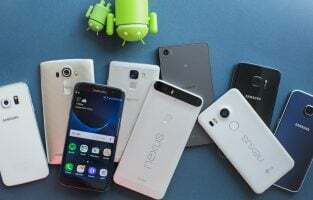 While some users may look for the best price, other may want the best features and some may just want the best sound quality. So we have kept all these considerations in mind while putting our list together. You can upgrade your television sound by using a sound bar. Though modern TVs boast of 4K Ultra HD, there is one aspect where they still don’t cut it and that is the sound. It is not possible to accommodate the top speakers in wafer-thin television screens, so the only solution is to opt for an external sound bar. Soundbars are slim and are easily set up. With a good quality soundbar, you can get a full surround sound. However, there are several options available in the market and it could be a herculean task to sift through the options and pick the most suitable one. When you shop for soundbars, you might see some numbers like 2.0; or 5.1 and so on. These might be confusing. They are the number of channels that are present on the sound bar and whether it has a subwoofer or not. In addition, if there is the 3rd number, it means that the soundbar comes with Dolby Atmos, surround sound feature. 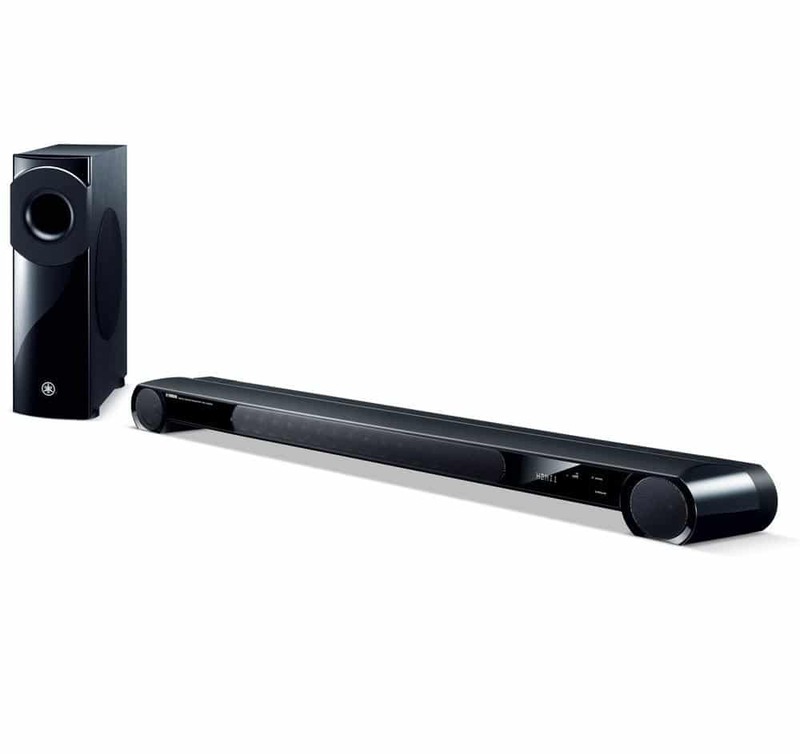 The Samsung HW-K950 is a revolution in sound bars offering Dolby Atmos sound in a minimalistic device. The satellite speakers come with Atmos drivers that are integrated in it along with wireless surrounds. It consists of 4 black cubes, with one long, slim, compact bar of 48 inches. It can also be wall mounted and comes with a stylish remote. There are 15 speakers built in, with 4 speakers that fire upwards, offering clear sound from all around. It converts audio up to 5.1.4 channels, decodes DTS to DTS 2.0 and uses the company’s Surround Sound Expansion to offer a virtual surround experience. It is connected from the ARC HDMI port on the sound bar and also passes video to your television up to 4K UHD. The 4K pass-through allows you to connect 4K video sources to the television to get best sounds and a 4K image quality. There are 2 HDMI inputs; one digital optical input; one Bluetooth connection and Wi-Fi. The speakers and the subwoofer are connected to the soundbar automatically. It offers 9 channels, 5.1.4, with five surround channels and 4 overhead channels. The power offered is 500 watts, which is quite a lot. All basic functions can be accessed through the chic remote. The sound bar comes with 6 effects, such as Clear Voice; Sports along with Standard, Movie and so on. It offers Dolby TrueHD with Dolby Digital. The system also includes support for multi-room, so that you can link it with any Samsung multiroom soundbars and also control it using the company’s remote app. It’s a big plus if you own a Samsung television. Alexa and HDMI Arc are the two main talking points that make the Sonos Beam stand out from the rest of the competition. The Sonos Beam is a compact soundbar that comes with voice control assistants, like Amazon Alexa already on board, and later on the Google Assistant as well as Siri in the pipeline. It is just 65 cms in width and it weighs 2.8 kg. There are touch controls present on the device, where you can select pause; volume up and down; next track; play; mute and so on. At the back of the sound bar lies the HDMI connection; an Ethernet port; the pairing button and the power connection. It can also be wall mounted. It has 4 full range drivers along with a tweeter and 3 passive radiators along with 5 amplifiers of class D. They are placed on the front in such a way as to drive the sound in an immersive way. There are different modes, such as Loud; Night Mode; Speech Enhancement and so on. Voice control features ensure that the device will hear you from anywhere in the room, even when the speaker is blaring some music. It is not just a soundbar, but also a multi-room speaker capable of playing music from any source. Sonos also supports AirPlay 2, so that you can build a system with devices from other manufacturers as well, in addition to connecting with your television. It connects to the TV with HDMI connection using ARC. This enables some amount of control over the television. With voice support, you can use voice commands for adjusting the volume, turning the TV on etc. Those who are looking for an impressive, three dimensional sound in a compact, light and stylish soundbar, which can fit into most living rooms. Those looking for a compact soundbar with voice assistant at a cheap price. Those who want to play music from different sources, such as Apple Music, Amazon or Spotify. 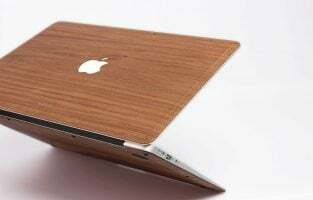 It has a slim profile, being just 2 inches in height so that it can easily fit under modern television screens. The glass blanketing on the top is strong as aluminum. 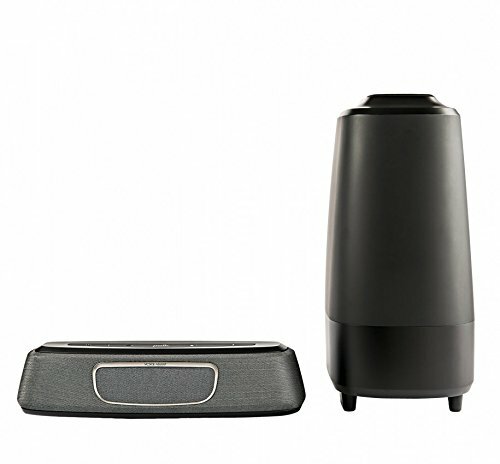 The one-foot plastic subwoofer is sold separately and is wireless. The dimensions are 4.2 x 38.5 x 2.2 inches and it weighs 12.6 pounds. All the ports are present on the rear of the soundbar, namely; the HDMI input; output for ARC connecting; optical cable; Ethernet port; a 3.5 mm jack for hardwiring; a micro USB slot; an additional 3.5 mm port for customizing. 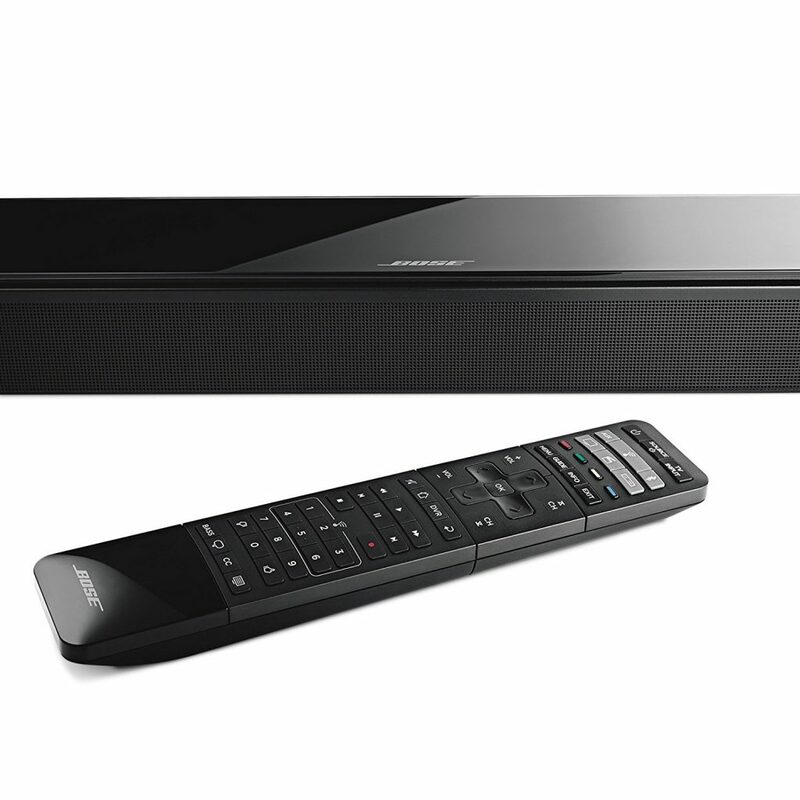 The soundbar comes with a bulky universal remote control, for controlling the television as well as other devices. There is also an app for controlling and you can download firmware updates from the app. However, there are no controls on the device itself. It also works with Alexa and you can use voice control, though you have to purchase Alexa separately. The soundbar offers HDMI connectivity using 4K passthrough and supports Dolby Digital as well as DTS. There is no support for Dolby Atmos though. 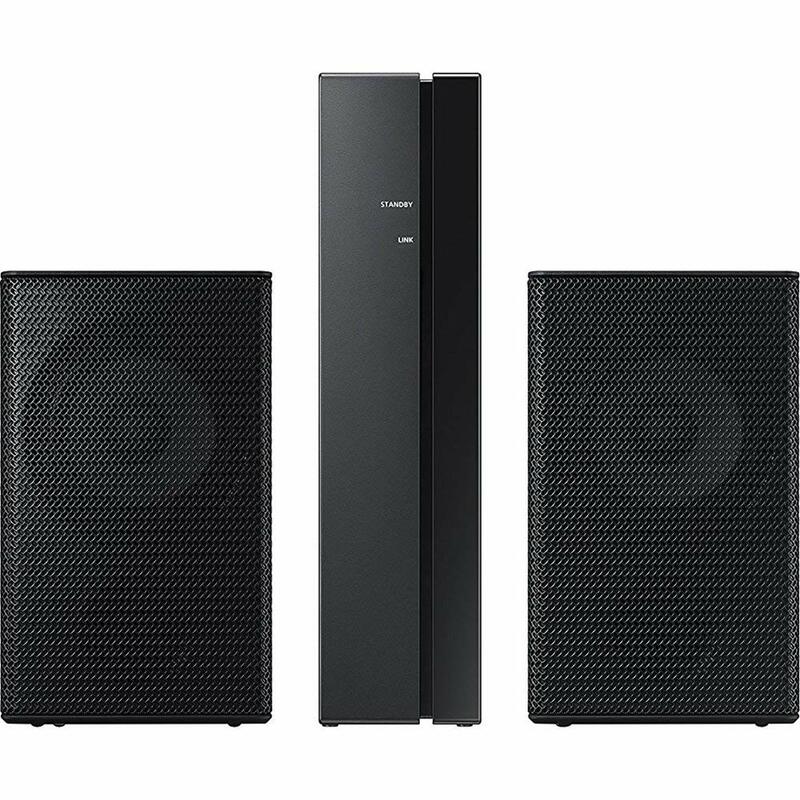 It comes with 4 full range drivers; one tweeter at the center along with PhaseGuide arrays that fill the room with sound. The Yamaha YAS-207BL is an entry-level soundbar that offers impressive performance at a killer price. Its main selling point is the DTS Virtual: X technology that it makes use of. The form is rounded with vinyl on the top and wrapped in an acoustic mesh. The subwoofer is wireless and comes with a bass port on the front and a driver firing from the side. There is a slim remote for the soundbar. You can connect the soundbar using HDMI. If your television has HDMI ARC connections, you can use the ARC HDMI on the soundbar, so that you can use universal remotes for controlling the power and the volume. The HDMI input also enables 4K/HDR pass-through at 60 fps. As for dimensions, it is small and compact at just 3 feet in length and 3 inches in height. You can also wall mount it if you wish. Touch controls can be easily accessed on the front. There are also the usual LED lights for several settings. Things are simple using the buttons placed on the remote, with volume adjustments, subwoofer adjustments and so on. You can also select the new DTS Virtual:X mode, which offers a wide, vertical sound similar to 3D surround sound offered by Dolby Atmos soundbars. As for drivers, there is a 1 3/4 inch driver; two one inch tweeters powered at 100 watts; the driver of the sub is 6 3/4 inch and is also powered at 100 watts. The bass is detailed and bombastic and the basic surround mode also offers impressive sound. There are other modes like the Clear Voice, offering more precision. The DTS Virtual:X technology, the most touted feature of this soundbar, is impressive as it expands the sound most impressively packing in greater clarity. 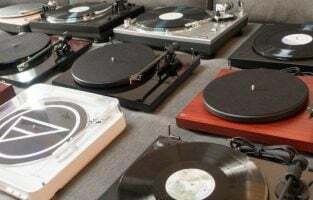 Those who want a rich and clear sound at a pittance. It is easily one of the best soundbars from Samsung. It looks attractive in a traditional rectangular build with a brushed finish and industrial grilles. It is quite tall at 78 mm, so consider how high your television screen sits. You can also mount the soundbar using the VESA points. There is an HDMI loop system capable of 4K, along with optical input; auxiliary audio input; an output for an additional subwoofer; support for Wi-Fi streaming, as well as Bluetooth, wirelessly. You can use the company’s multi-room app for Spotify, Amazon Music, Pandora and so on. The dimensions are 1060 x 78 x 130 mm (WHD). A single body design offers a 3.0 configuration, with a combination of 6 woofers and 3 tweeters, all of which are powered by 20W each. One of the interesting features is the distortion cancellation technology that offers excellent bass levels. It ships standard with the Dolby Digital 5.1 on board. It can cover several audio formats, like AAC; MP3; FLAC; WAV; OGG; as well as ALAC. Those looking for a fantastic, powerful sound and bass without any external subwoofer. Those who are looking for an all-round, single body soundbar that offers cutting edge, high performance. It is really tiny at just 4.3 x 13.4 x 3.2 inches and weighing 12.5 pounds, made of plastic combined with cloth, with good aesthetics. It looks more like a Bluetooth speaker rather than a home theater option. There are lights on the front for volume and input options. You have to keep the soundbar upright and it cannot be wall mounted. A wireless subwoofer is also included. There is also a remote control in an ergonomic design. However, it works with any television, satellite IR remote control. 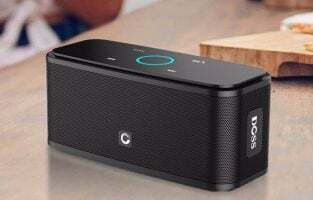 The 2.1 Polk Audio MagniFi Mini soundbar comes with a wireless subwoofer. The main satellite has 2 tweeters of 12 mm with 4 drivers of 2.25 inches. Two of the drivers are on the side offering SDA sound. There is a driver of 6.5 inches along with a port on the subwoofer. Connectivity features include Bluetooth; Wi-Fi; optical; an HDMI and 3.5 mm input. It can decode the Dolby Digital and has 3 sound modes for music; movies and for sport. The night mode button can be used for lowering the bass and increasing the Voice Adjust. This is a useful feature for limiting the dynamics when the rest of the family is sleeping. This offers the clearest of dialogues, without having to increase the Master volume. It relies on the Google Home app for setting up. Wi-Fi connection is possible with Google Cast. You can use Google Cast for streaming music from your phone. It is one of the best soundbars for the price, with a big sound packed into a micro-sized soundbar. Dialogues are crystal clear using the Polk Voice Adjust technology. The Voice Adjust enables increasing the center channel to get clearer dialogue. Those who want a compact, mini soundbar that fits into most living rooms. It is also for those looking for a portable option, as you can easily pick the pieces up and hit the road. 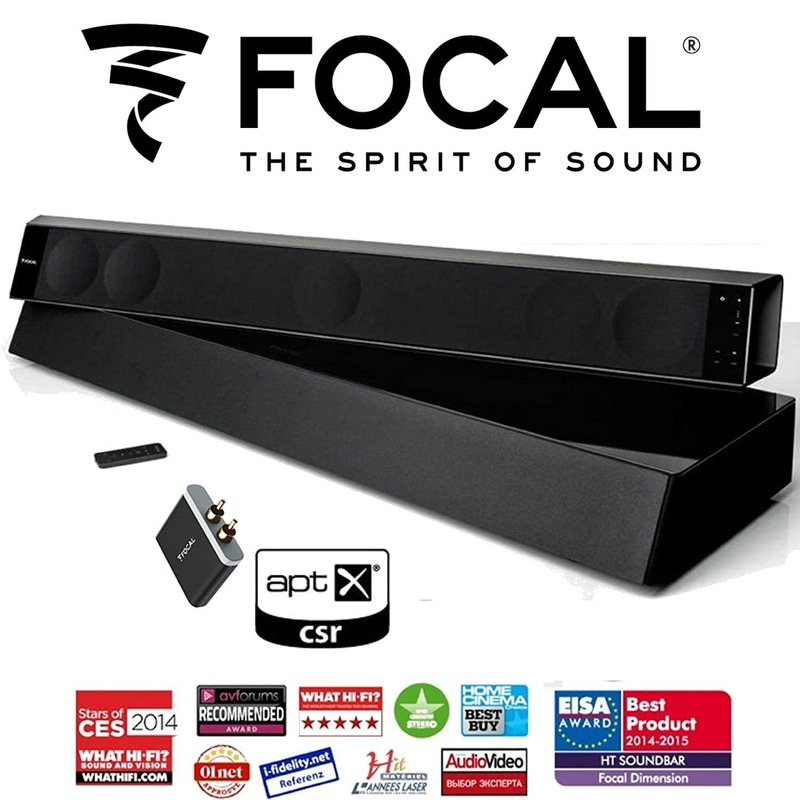 Those looking for a flexible and affordable sound bar for movies and music. Those who are not expecting traditional or dedicated speakers, but rather a reasonable quality of sound. Those who are looking for a powerful punch and expansive soundstage in a small package. It’s for those looking for a no hassle audio enhancement for their televisions. If you crave for an impeccable acoustics system, then the Yamaha YSP 2500 is an amazing sound bar. It features a 7.1 channel surround sound which makes your television experience very realistic. It has a wireless subwoofer which can be placed easily where you prefer without having to worry about the wires. The subwoofer makes sure that the rich bass notes are clear and audible. 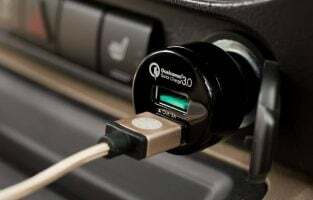 It offers Bluetooth connectivity if you do not want too many wires around your television and sound bar. It also has an HDMI input to provide good quality connectivity between your television and the sound bar. It is very easy to set up and the design makes it look classy. Whether it is the looks that inspire you or the sound that carries you away, a focal dimension is designed to impress. 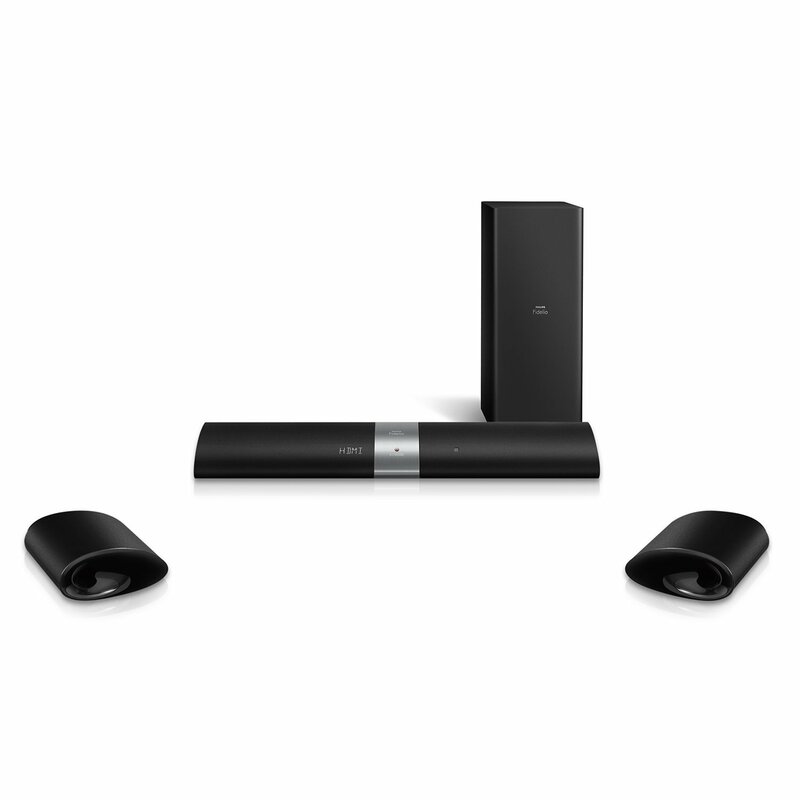 You may mistake it for a single sound bar, but it has a soundbar along with a subwoofer discreetly designed to look like it is just one box system. It has rich sound and a deep bass response. The subwoofer is vibration resistant so your viewing experience does not degrade because of a shaking television when the subwoofer produces some deep bass. It senses hand motion to light up or you can use a remote to power it on. 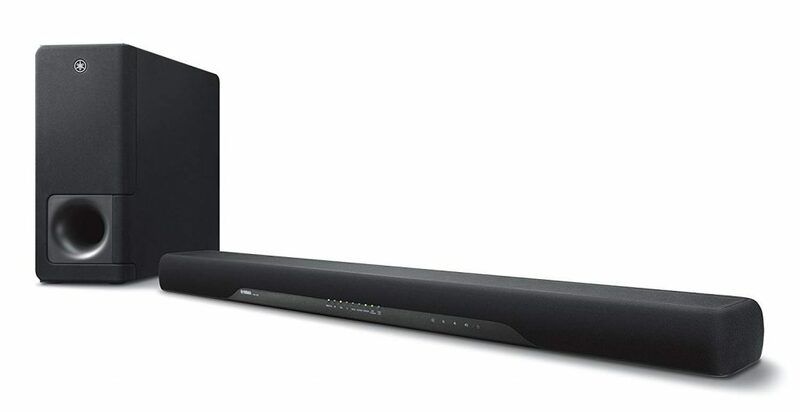 Anyone who desires a realistic sound experience from their television would appreciate this superior sound bar from Philips. It has the surround on demand feature to help you choose the moments when you want your room to be filled with some realistic television experience. The audio system has HDMI inputs so that you can establish a connection with your television, but it also has Bluetooth connectivity so that you can stream music wirelessly. The design of the soundbar features minimalism which goes very well with a chic modern décor. The wireless subwoofer allows you to place it without worrying about the wires around the room. If you feel that the dialogue quality of your television speakers does not really measure up, then the Klipsch R-10B is a great addition to your television in order to make the sound system more capable. 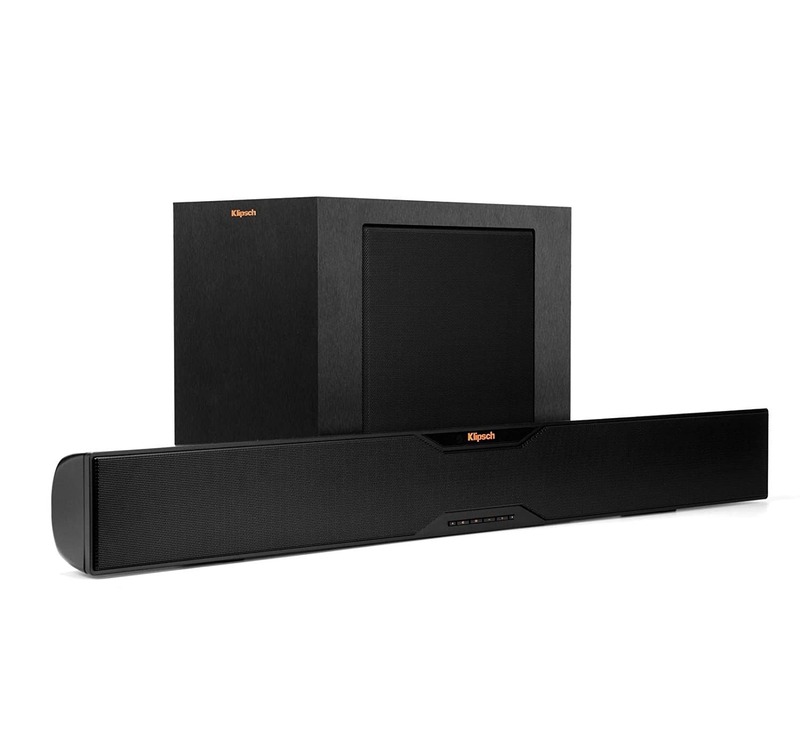 Klipsch falls under the top-rated sound bars available in the markets. The rich bass and the clear trebles aim to provide an engaging user experience. 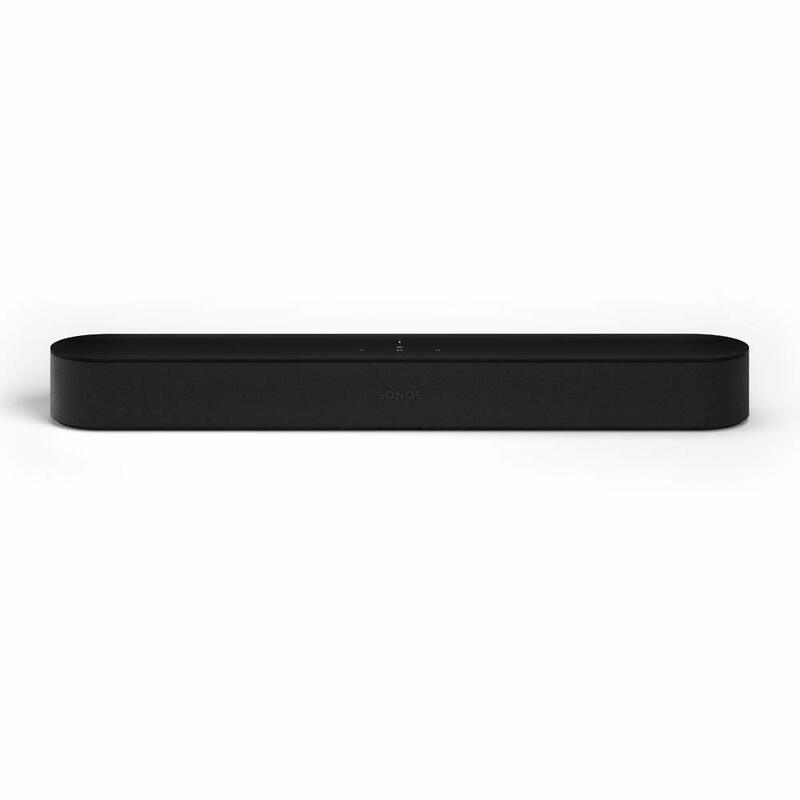 The minimalistic design of the soundbar may have you feel that it is too simple to be powerful, but experiencing its sound reproduction will take you to another level. 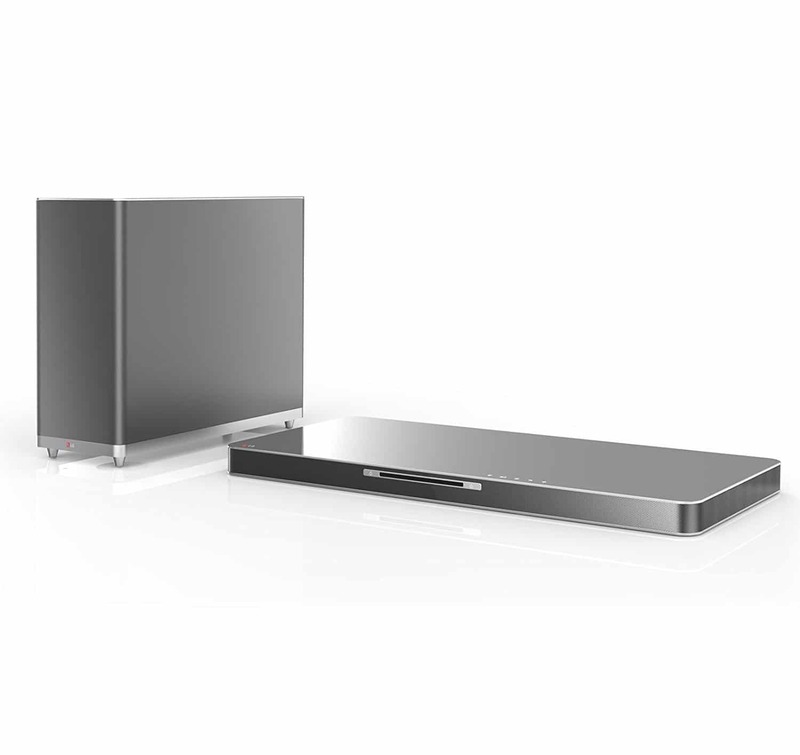 For those looking for additional features in their sound bars, LG has come up with the SH5B which has a built in Blu-Ray player. The sound system is loud and realistic with the added benefit of a Blu-Ray player. LG also utilizes its proprietary Music Flow technology which allows the sound bar to use the Wi-Fi system to stream music to speakers located in the other rooms. It can also stream music from a USB device which can be plugged into the flat box. The sleek design and a reasonable price, make this feature-rich sound bar one of the best soundbars available. 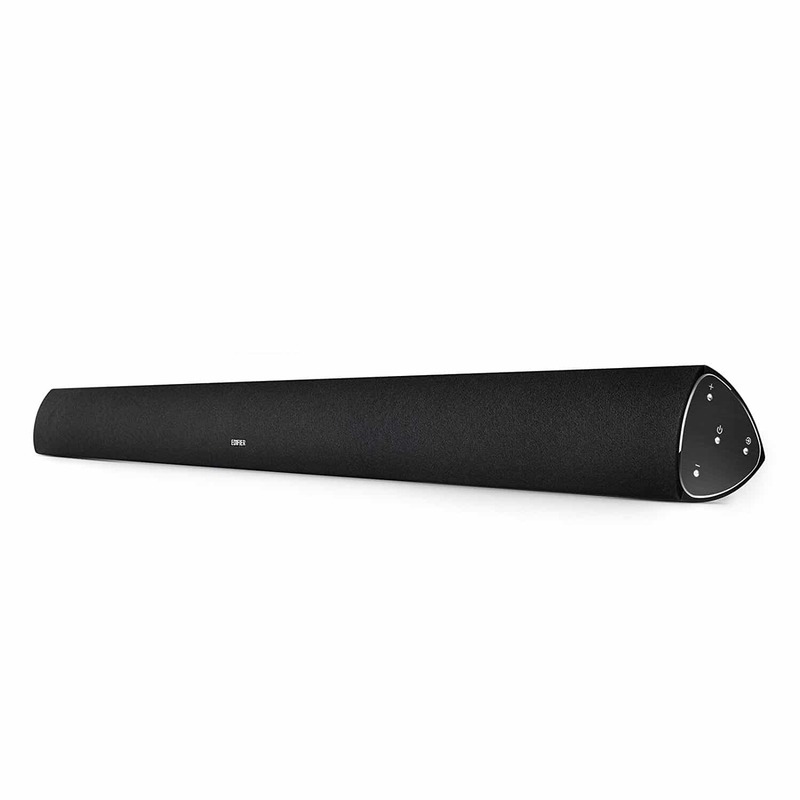 The B3 is a Bluetooth Soundbar which looks sleek and has a built-in subwoofer. It can be wall mounted or placed in front of your television. It has optical and auxiliary inputs which help in producing a notable amount of sound to ensure that your television sound is clearer and louder. It goes to sleep automatically after 10 minutes of inactivity which helps you save power when you forget to power it off. For a soundbar that costs less than $200, the B3 is one of the best soundbars that you can get if you are looking for the best sound bars on a budget. You have to consider whether you need soundbars with subwoofers or not? 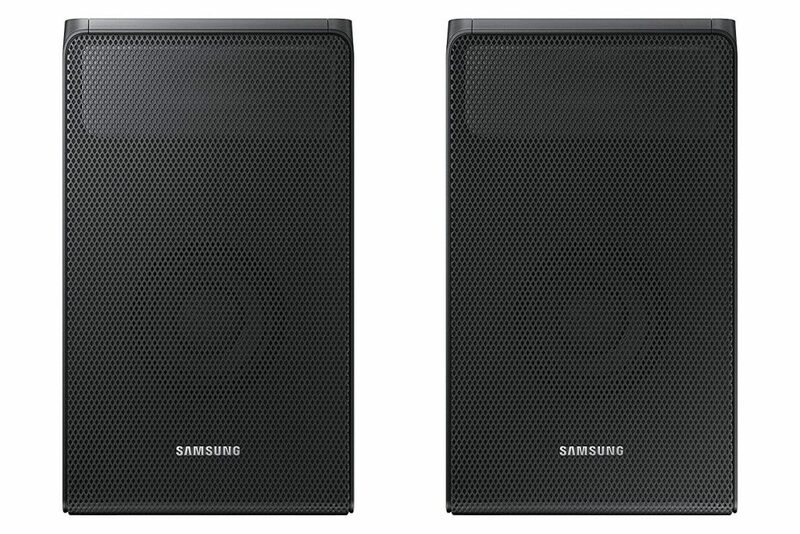 Subwoofers are good for bass and other low-frequency sounds, so it will add a lot of punch to your movies. Also, check out the connectivity, either optical cables or HDMI interface, where the latter offers better immersive quality. Some subwoofers are wireless and there are even wireless satellite speakers, so you don’t even have to connect them physically to the soundbar. If you need better sounding audio from your HD television, grab one of these compact soundbars and amp up the home theater.